The Occupational Safety and Health Administration (OSHA), a federal agency, regulates workplace safety for hospitals, which must comply with several workplace safety regulations, including radiation exposure, bloodborne pathogen exposure, fire safety training and exit door requirements. Hospital employees must be trained to protect themselves from radiation exposure and proper procedures following radiation exposure. Radiation exposure causes birth defects in unborn children and cancer after exposure for prolonged periods. Bloodborne pathogens are organisms in blood that cause illness in humans, including HIV and hepatitis. Regulations require hospitals to solicit input from employees concerning the safe use of medical devices. OSHA requires hospitals to implement a pathogen exposure plan designed to limit employee exposure. Hospital employees exposed to bloodborne pathogens must receive continued medical treatment following exposure incidents. Hospital employees must be trained in proper fire safety procedures. Regulations require hospitals to develop and implement an emergency plan that features emergency evacuation routes, patient transport in the event of a fire and a fire alarm system. Regulations require exit doors to be properly labeled and unlocked from the inside. OSHA requires hospitals to have more than two exits so that employees and patients can safely evacuate during an emergency. Writer, Contributing. "Workplace Safety in Hospitals." 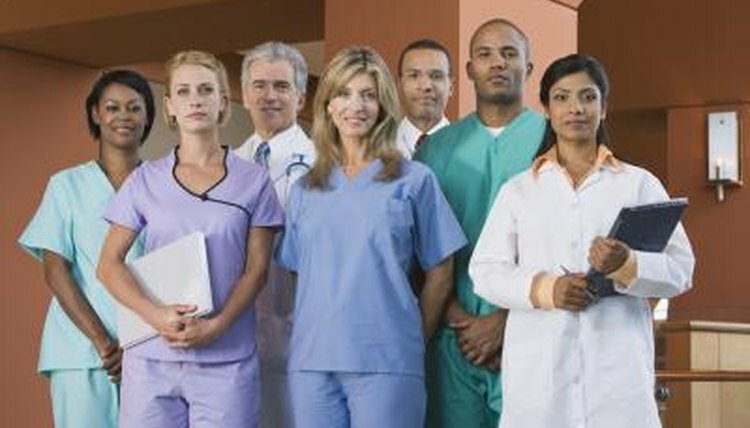 , https://legalbeagle.com/6155931-workplace-safety-hospitals.html. Accessed 21 April 2019.